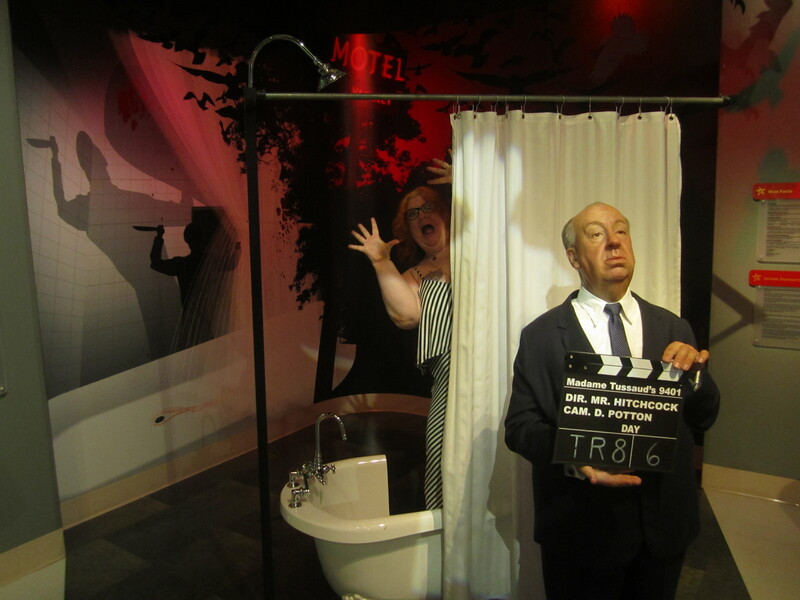 Yesterday I went down to Hollywood and visited Madame Tussad’s Wax Museum. I’ve mentioned several times that I am doing exposure therapy to help with my social anxiety and agoraphobia. I planned to at least get there, if I didn’t go in at least I would get to see some neat stuff on the drive. I only have 9 more days in LA, then we move back home to Omaha. I am trying to see what I can and was quite proud of myself for not only going into the museum but being silly and enjoying myself when I was there instead of concentrating on my anxiety! Here’s some silly for ya, and woot go me!!!! Congratulations, I know what an achievement that is. Well done! !